– July 17, 2014Posted in: SusieQ FitLife Breaking News, SusieQ FitLife Updates! 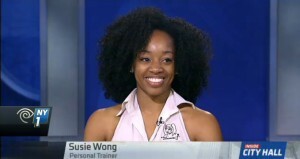 NY1 Online: Fitness Expert Offers Workout Advice for Obama, de BlasioNY1 VIDEO: Susie Wong, a leading fitness expert joined Inside City Hall to offer President Barack Obama and Mayor Bill de Blasio some pointers on improving their workout routines. 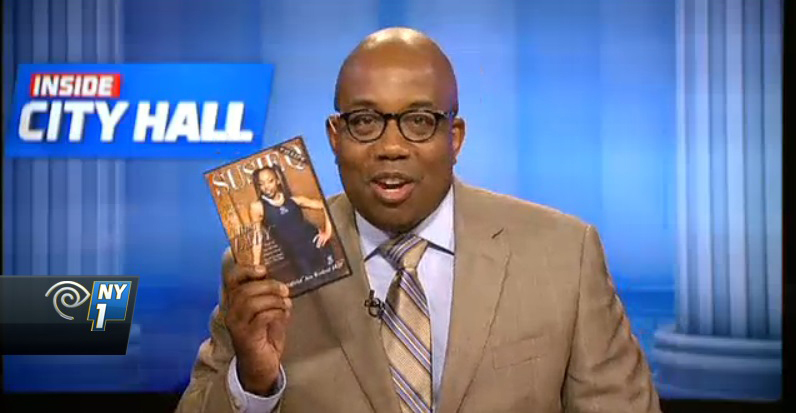 Watch Errol Louis, the host of Inside City Hall at the round table with SusieQ which airs weeknights at 7 p.m. and 10 p.m. on NY1 News. There was a major security breach in Poland when someone secretly recorded President, Barack Obama’s training routine at a gym on a smart phone and TMZ leaked the video. Obama, was in Poland to rally Eastern European support against Russian aggression and was filmed working out in a hotel in Warsaw. SusieQ speaks on his workout which targets his arms, legs & shoulders! The mayor of New York City has also been working out at the Prospect Park Y.M.C.A. Bill de Blasio, has also been criticized for taking it too easy during his workouts while stopping for latte drinks after his workout! Special thanks, to Michael Benjamin aka: “MyKING” for all of his love & support in making everything possible! Virtual Potluck Contest with Carla Hall!